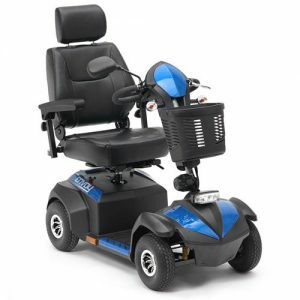 The Boston is available in a standard size or a petite size for people 5’6” tall or less. 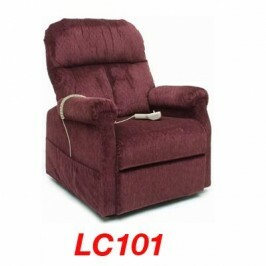 Designed with supreme comfort and ease of use in mind. 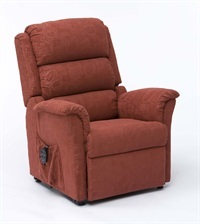 The Boston Rise & Recline Armchair features a luxurious Sofia fabric. • The footrest can be elevated. 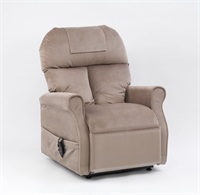 • The backrest can be reclined. • It will rise and tilt you to your feet. • It has built in storage pockets. • It has a safety key hand controller. • Battery backup (Battery operated reset function). 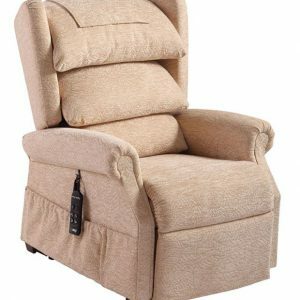 • Detachable cushion with full chaise. • Also available in a Petite size. • Simple to operate 2-button handset.